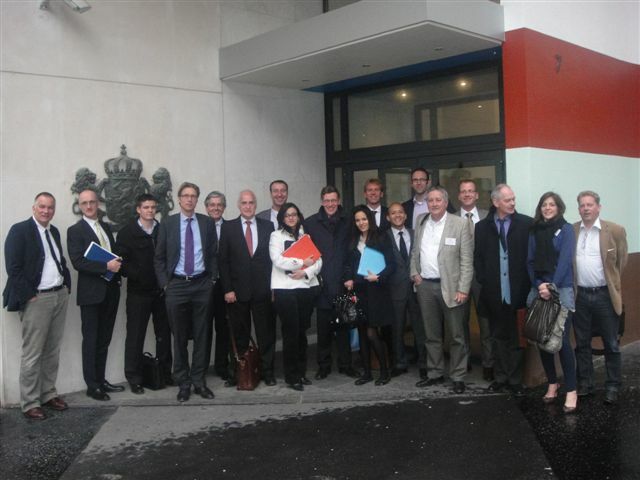 The trade mission Cleantech organized by TRANSFER LBC in April 2010 served as a springboard for Dutch and French companies to join forces across borders in the area of renewable energy. Leading solar and wind energy companies participated in this trade mission to France, a country which is committing to increasing their sustainable energy production. The trade mission started in Île-de-France, the economic heart of France. After the arrival of the Dutch participants on Monday afternoon, the FME-CWM (Dutch association for the technological industry) gave an introduction in the French renewable energy market in cooperation with the Netherlands Office for Science and Technology of the Dutch Embassy in Paris. TRANSFER concluded the presentation with some very important business tips for the participants. The first day was fully devoted to group activities. The participants left early in the morning for a visit to GDF Suez, one of the world’s largest and most ambitious energy firms. Subsequently, the Dutch Embassy was visited where a workshop was given about renewable energy sources for as well French as Dutch guests. The workshop was primarily focused on the exchange of knowledge and the sharing of best practices. Hereby, several market opportunities were revealed. Thanks to the mix between French and Dutch participants a lot of discussion took place about the possibilities and differences in regulation. In particular, the French developments within the renewable energy sector were elaborately discussed. During the meeting the Dutch participants also had the chance to present themselves to important French partners, among which Enerplan and 8.2 Consultancy. The day ended with an informal cocktail at the Embassy. While enjoying a glass of champagne, several meetings took place with prominent French organizations such as Saint Gobain, Nordex and Casino. On the second day of the trade mission individual matchmaking was the core focus. The participants got in direct contact with project developers, manufacturers, suppliers, distributors, agents, financial institutions and sector associations within the industry. The French counterparts received our participants with a lot of enthusiasm and many technical experiences were exchanged. During short presentations the French clearly outlined the upcoming projects, forecasts, regulations, important players within the sector as well as the possibilities for cooperation. At the end of the day the group was separated in two. The wind energy group stayed in Paris, while the solar energy group travelled to the region of Rhône-Alpes. On arrival the delegation participated in a cocktail during an informal gathering organized by the NBSO (Netherlands Business Support Office). On the last day a visit was planned for the solar energy group, with the presence of the management of ERAI, to the leading research institute INES “Institut National d’Energie Solaire”. During this visit a guided tour was given in the laboratories and in the test areas for photovoltaic cells / solar panels and the new green house project. After the visit to INES individual meetings followed at e.g. Photowatt and the energy cluster of the local government of Rhône-Alpes, where every participant had the opportunity to have a one on one conversation with the central decision makers within the companies. Mr Jan Sietsma, Director Customer Relations Management Philips Applied Technologies: "Thanks to this trade mission I can return home with some interesting leads and real possibilities for Philips Applied Technologies. 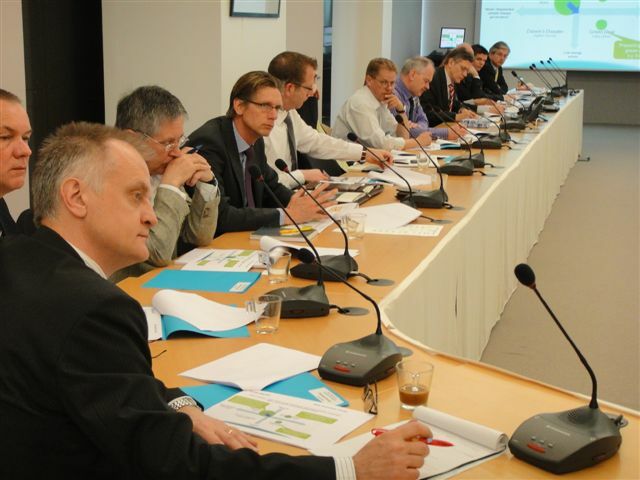 This was for me the first time I participated in a trade mission with Cleantech Holland and TRANSFER Consultancy. Because of the tangible results and the obtained market knowledge this trade mission was definitely worth the effort." Mr Jeroen Liebrand, Sales Manager Smit Ovens: "TRANSFER did not organize a lot of meetings for me, but it appeared to be the right ones. Because of this the unexpected happened: after a visit to France of 1,5 days I received a very serious request, which will most likely deliver me an order of about 1 million euro.